Reflex Sympathetic Dystrophy (RSD) is a chronic pain disorder characterized by more than just aches and soreness. The condition often begins as a result of an injured limb, trauma, surgery, heart attack, or an infection. Over time, the resulting discomfort can escalate to burning pain, sweating, joint swelling, and sensitivity to the touch. The syndrome has been challenging to the medical community because its symptoms are vast and often difficult to alleviate or relieve. 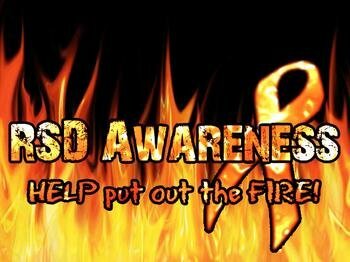 RSD occurs as the result of a complex malfunction of communication between the sensory, motor, nervous and immune systems. As a result of the initial trauma, the central nervous system is thrown into a state of disorder. The patient’s pain may appear in one region, and then spread to other limbs over time. Though the condition can improve gradually on its own, in many cases, symptoms of RSD reappear with a new injury. There are no diagnostics for RSD, nor is the condition completely curable. Learning to manage the pain is the only option for the millions of people in the United States living with this chronic condition. Here at Rutherford Allied Medical Group, we have experienced encouraging results using Calmare Pain Treatment Therapy to combat RSD. During the past few weeks, we treated a 40-year-old woman who developed the condition after multiple surgeries to her feet resulting in debilitating level 10/10 pain in her feet and lower legs. After seven sessions of Calmare, we are happy to report her pain has been holding at a 2/10. As a result, she has completely stopped taking Dilaudid (hydromorphone), a narcotic pain reliever similar to morphine which can be highly habit forming. Like other enigmatic illnesses, such as Fibromyalgia, Calmare Therapy can offer a zero-risk and long-term solution to alleviating or ending RSD pain. This therapy is drug free, has no known side effects, and after the initial 10 session protocol, can manage the patient’s pain for long periods of time, if not eliminate it. Is this procedure covered by insurance, and if not how much is it?